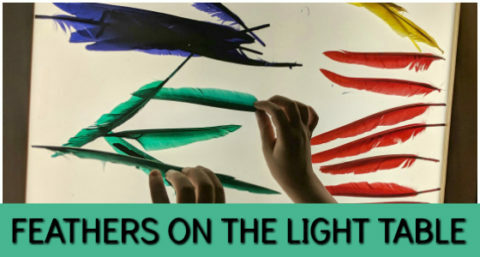 Preschoolers are fascinated by the magic of everyday life. 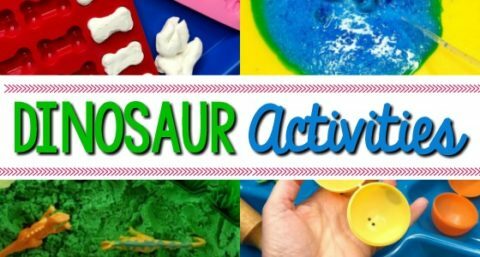 Even the most simple science experiences, such as a change in temperature, can captivate young children. 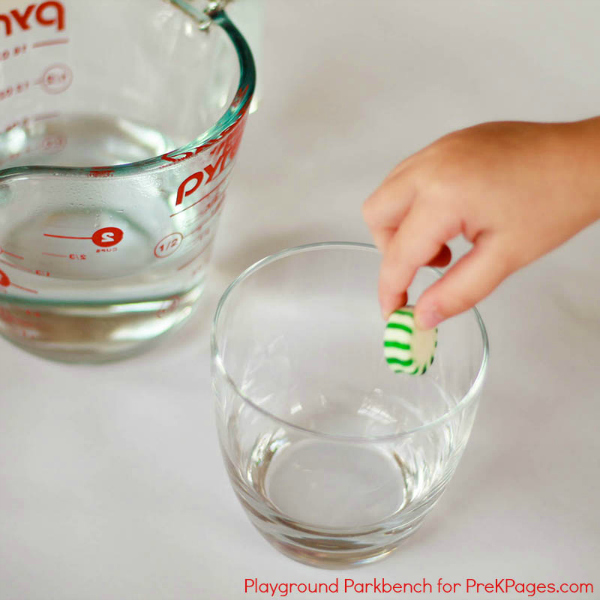 Invite your little learners to observe what happens to peppermints or candy canes in water of different temperatures with this simple science activity which is perfect for a holiday theme! 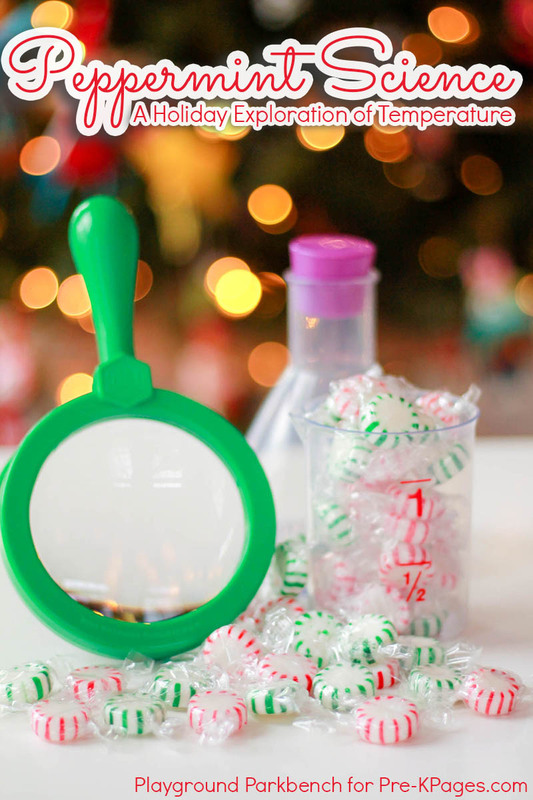 This dissolving peppermint experiment is super quick to set up, doesn’t require a lot of supplies, and your kids will absolutely love it! 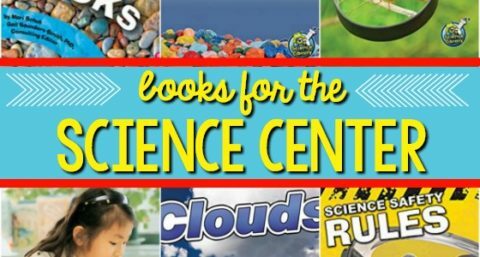 Kids are fascinated by science because they view it as exciting and magical. 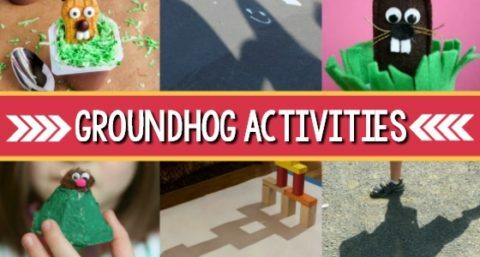 Science experiments are also a great way to practice how to follow directions, expand vocabularies, work on fine motor skills – and of course, introduce basic math and science concepts. 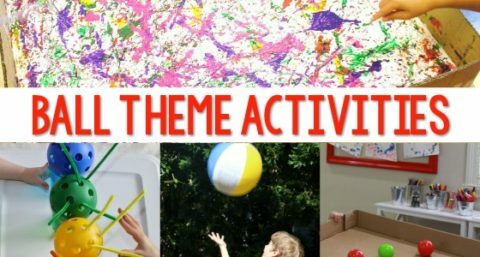 For the safety of your little scientists, keep your experiment and materials simple and conduct them as a class or in small groups where the activity can be closely monitored. In this peppermint science experiment, your preschoolers will learn about temperature – hot and cold – and its impact on sugar – the peppermint. First, invite your children to observe what happens to the peppermints or candy canes in water of different temperatures. 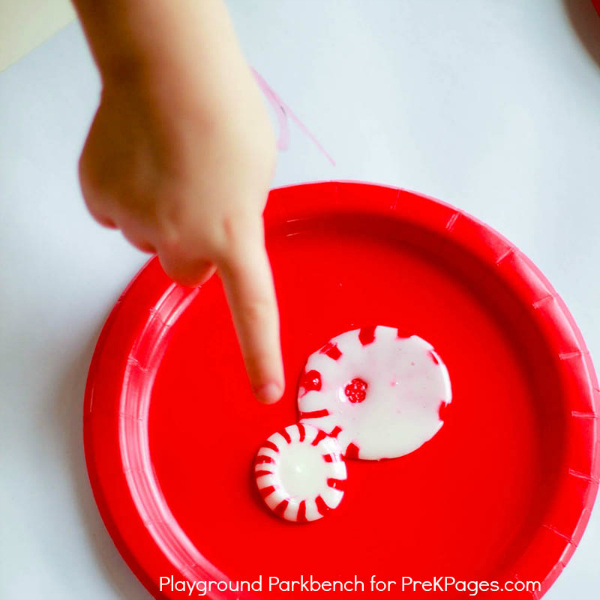 For a fine motor skill challenge,invite children unwrap the peppermints and place one at the bottom of each cup. Warm one cup of water in the microwave, allow one cup of water to rest at room temperature, and add ice to the third cup to create hot, warm, and cold water experiments for comparison. Next, add one cup of water to each cup, one hot, one room temperature, and one cold. 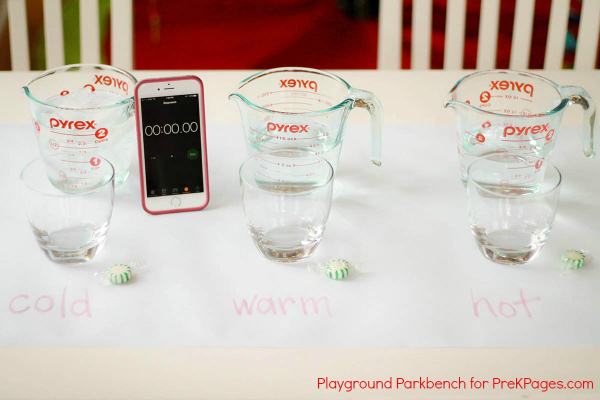 Start your timer to see how quickly the peppermint starts to dissolve in each cup. You can assist students in adding water to the cups, but please be careful with hot water. Encourage your preschoolers to watch and make observations about the changes that take place to the peppermints in each cup. The hot water will begin dissolving the peppermint in seconds, while the peppermints in the cold water take much longer to dissolve. What happens to the water? Does it look different? How does it taste? You can also explore applying temperature to the peppermints without water. 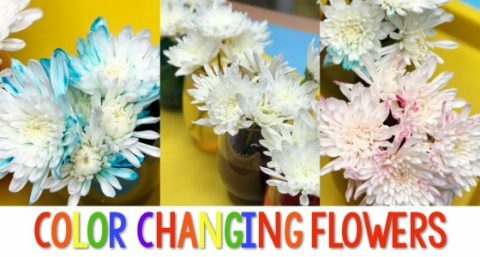 The changes are more difficult for preschoolers to observe, but offer a great way for them to touch and feel difference in temperature. To create hot, warm, and cold peppermints, place peppermints in the freezer overnight, leave some out at room temperature and, just before your class is ready to observe them, place some on a paper plate in the microwave. Heat for 30-60 seconds, and watch them closely. Remove as soon as they begin to melt, and let them cool until they are safe for children to touch. Place three separate plates with each of hot, warm, and cold peppermints for the children to touch and observe. Sugar dissolves in water because water breaks the bonds between sugar molecules. Heat makes the sugar molecules move faster, speeding up this process. If you let students taste the water, they will find that it changes too. While the sugar molecules break apart from each other, the individual molecules remain stuck together, making the water taste sweet, like sugar. 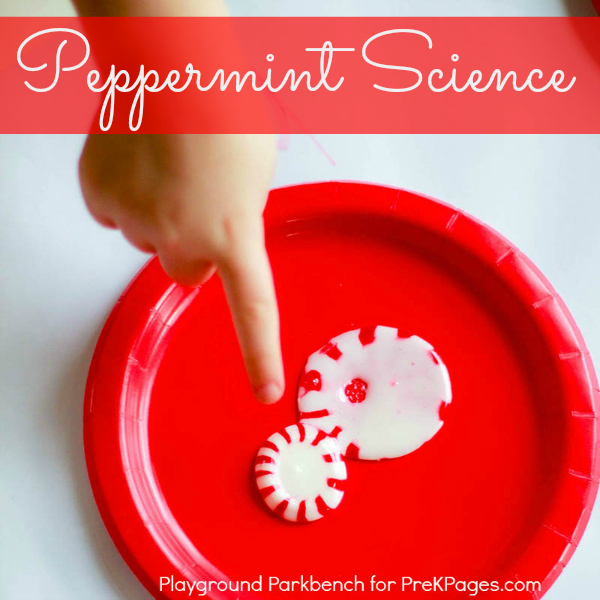 Add some gross motor and imaginative play to your peppermint science experiment by having students hold hands, like sugar molecules, then run together. They will warm up and find it harder to hold hands while moving. 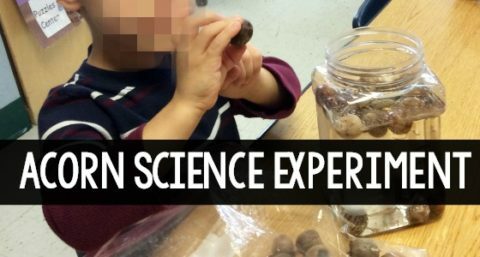 This is the perfect Christmas science experiment, but you can really do it any time of the year and just focus on the science. BIO: Meghan is a former hedge fund professional turned SAHM to Big M (5), Lil’ M (3), and Baby M (14 months). 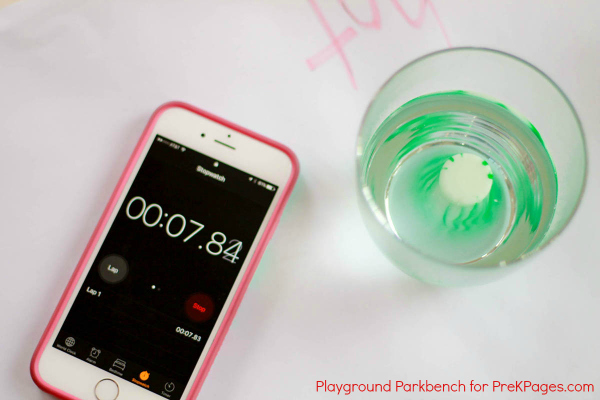 She writes at Playground Parkbench, where she shares practical parenting tips, kids learning activities and family financial savvy. 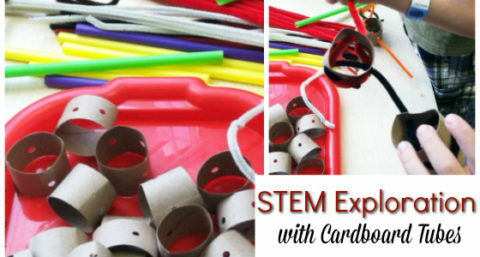 If you enjoyed this post, check out all her STEM activities for preschoolers. You can also find her on Facebook, Pinterest, and Instagram.